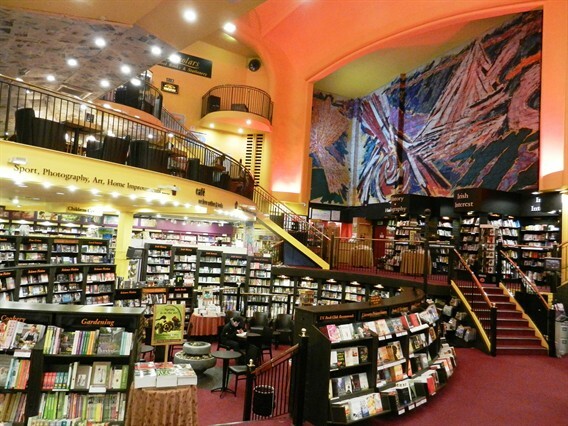 As well as being a fabulous indepdent bookshop with a great selection of books, the Book Centre Waterford has without doubt one of the most amazing interiors you're likely to find in a shop of any kind. It used to be a well-loved cinema in Waterford, but it's now transformed into a very enjoyable place to spend an hour or two's happily browsing through its extensive range of titles. It has an excellent children's section and upstairs there's a wonderful café, perfect for taking a short break and having a chat. The atmosphere and decor in the shop is very pleasant with classical music and warm inviting lighting which means that once you're in the door, you may not want to leave in a hurry! Also, be sure to check out the Book Centre's sister stores in Wexford, Kilkenny, and Nass.